You know that slightly creepy but pretty accurate yellow/blue mouth gaping open emoji? (This one if you’re totally lost. It says “face screaming in terror” but it’s more of a shocked emoji in my book.) 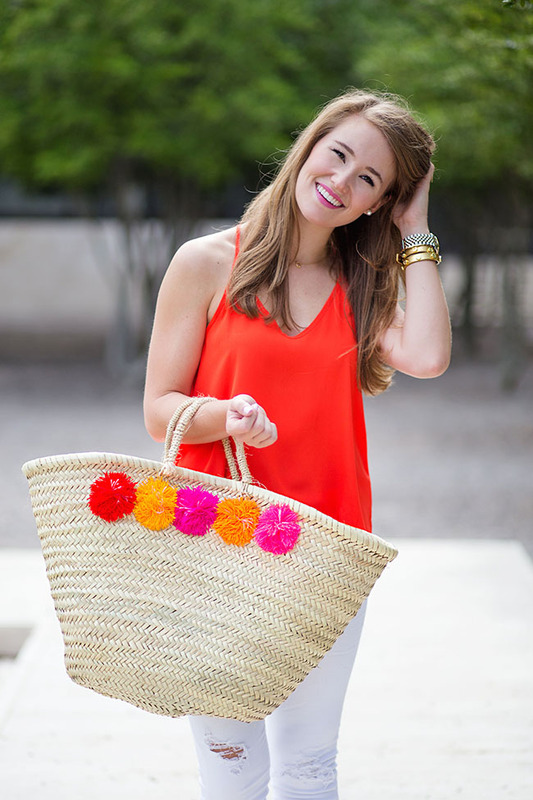 That’s the face I made when I received an email in late May from Furbish Studio announcing these pom pom baskets. On the walk back to the Kappa house after class, I managed to pick this pink and orange beauty out, add it to my cart and check out on my phone all without running into too many pedestrians… cause when you know, you know! That’s what they all say, right? This thing has been with me all summer – brightening up my travels and holding important cargo in the cutest manner possible. Like… pom poms?! For real! They sold out almost immediately, and while they’ve come back in stock a few times here and there throughout the summer, these colorful beauties never last long. I’ve tracked a few down at Design Darling, though, in case you need. As much fun as I know he’s had on trips to the lake house and the like, my little pom pom basket friend has found a true home here in Seaside. He loves the ocean and pastel houses, and is begging me to stay here and never leave. I just might listen to him! P.S. This top is amazing. It’s the ultimate dress up or down blouse (did you see the gorgeous back?) and is so flattering! 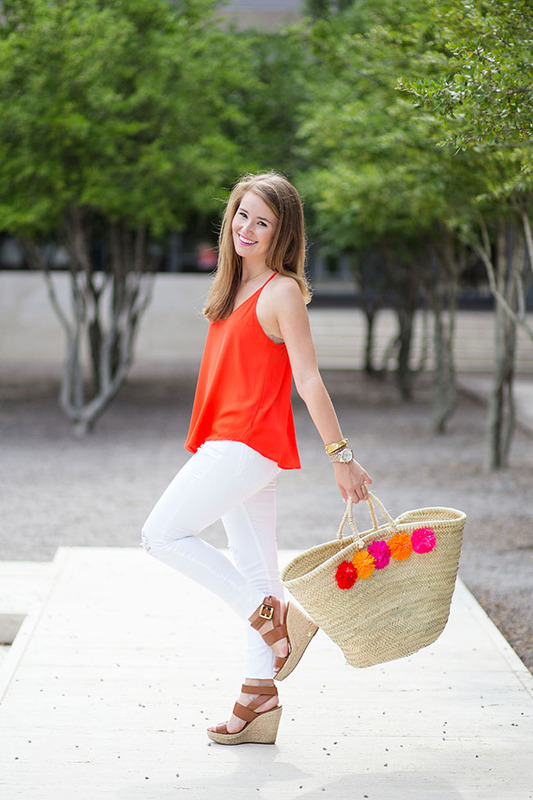 You can snag it in 5 different colors including white (I’m in the orange) for just $30. Can someone say #closetstaple? You are gorgeous! I love the color combination of this outfit. 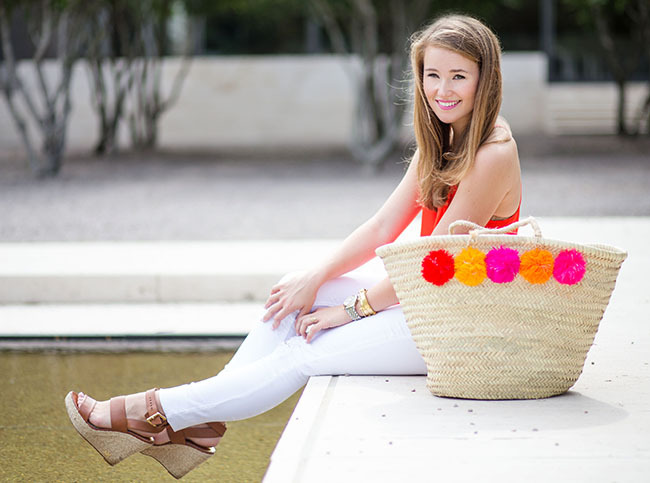 I really like your wedges! You are absolutely adorable! Your outfit is on point! 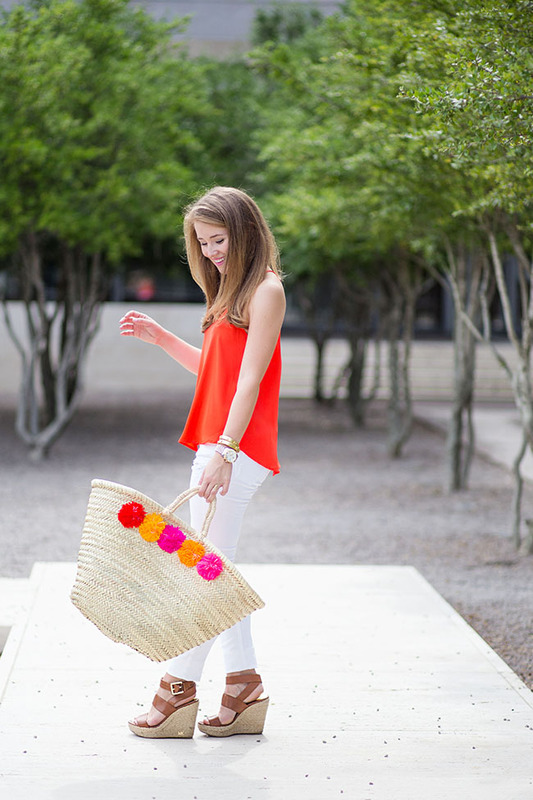 Such a simple look, but those pom poms totally make it! In love with that bag! 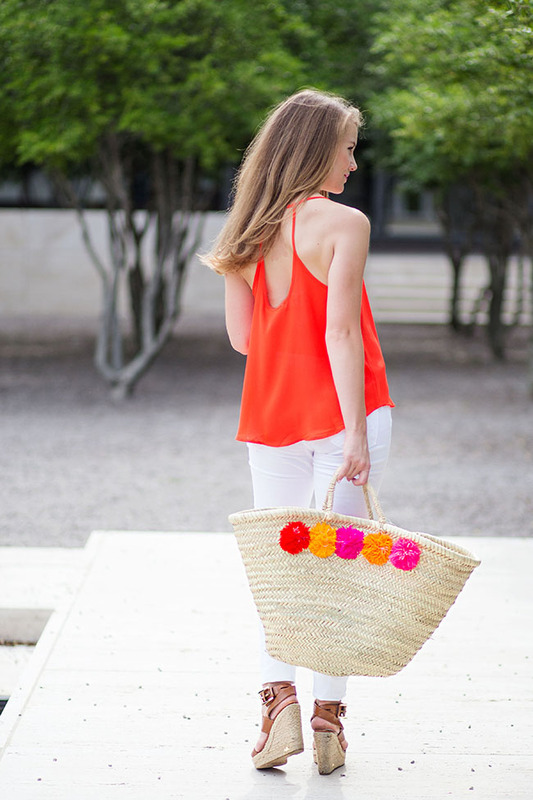 Perfect pop of color for summer. 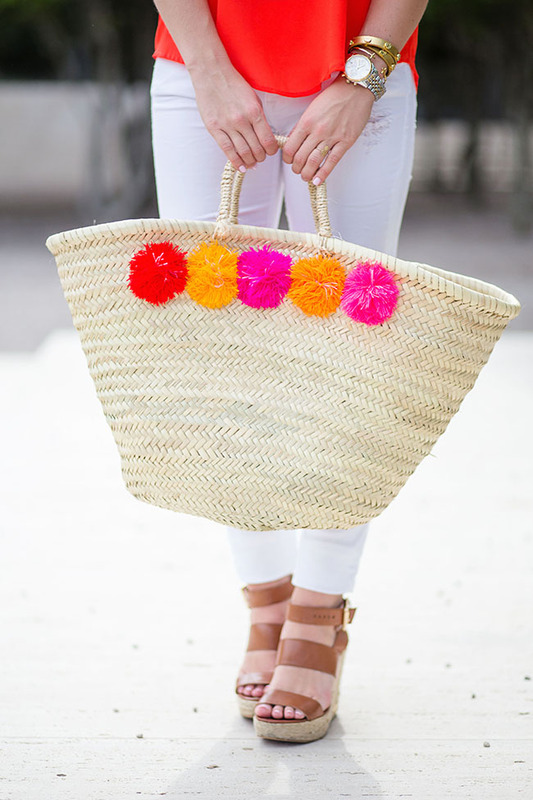 I love love love the pom poms! they’re so cute and a great touch for making any outfit instantly cute!